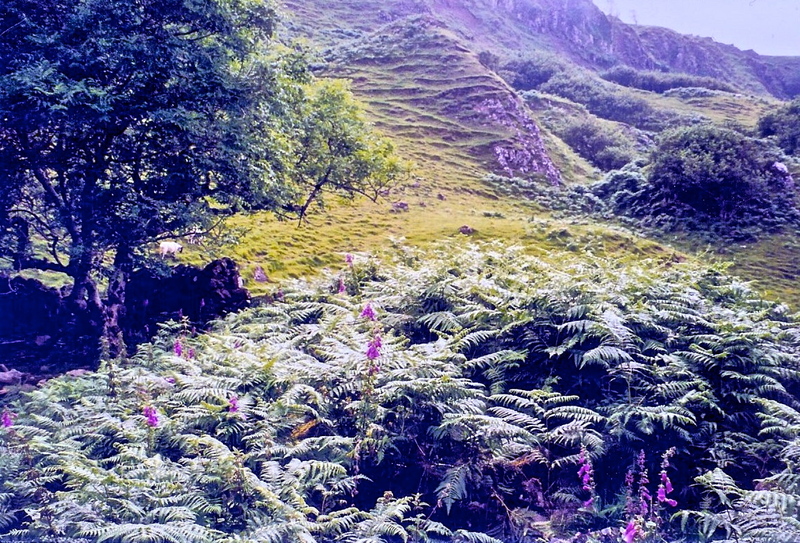 In the previous post, I described the Faerie Glen and Faerie Bridge on the Island of Skye, Scotland, the inspiration for creating my own magical garden. In pottery courses at the Community Arts Center I learned some basic techniques in hand building, carving and throwing on the wheel. 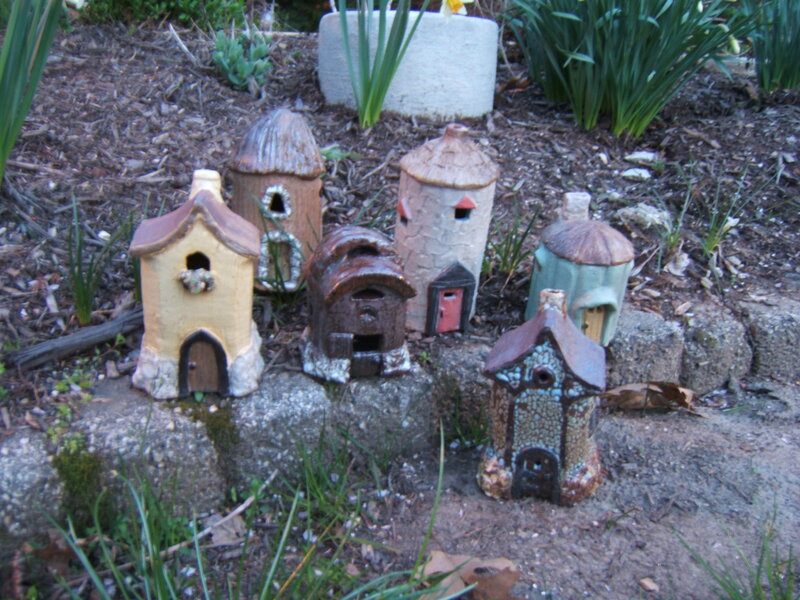 My instructor, Bob Deane, had a special interest in making houses, castles and dragons, and guided our classes in the various techniques in constructing these pieces. 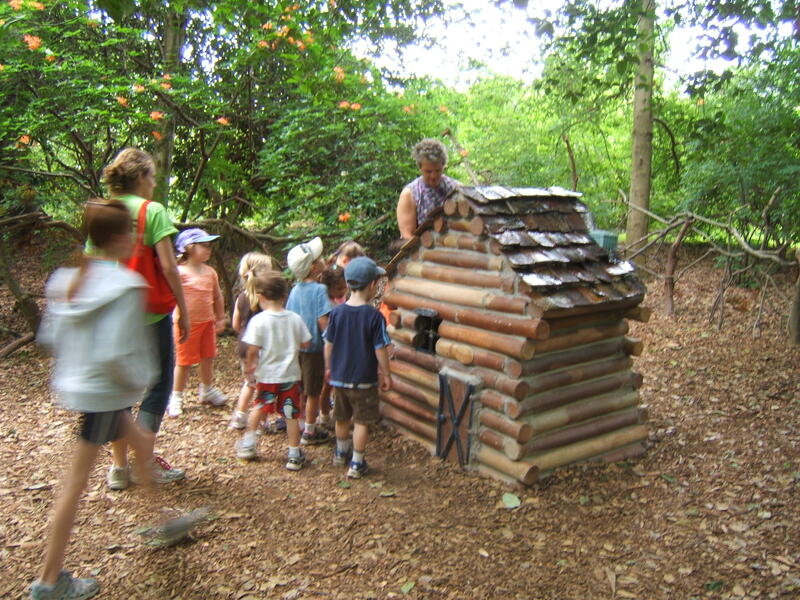 Bob created a ceramic house for Tyler Arboretum tree house display. 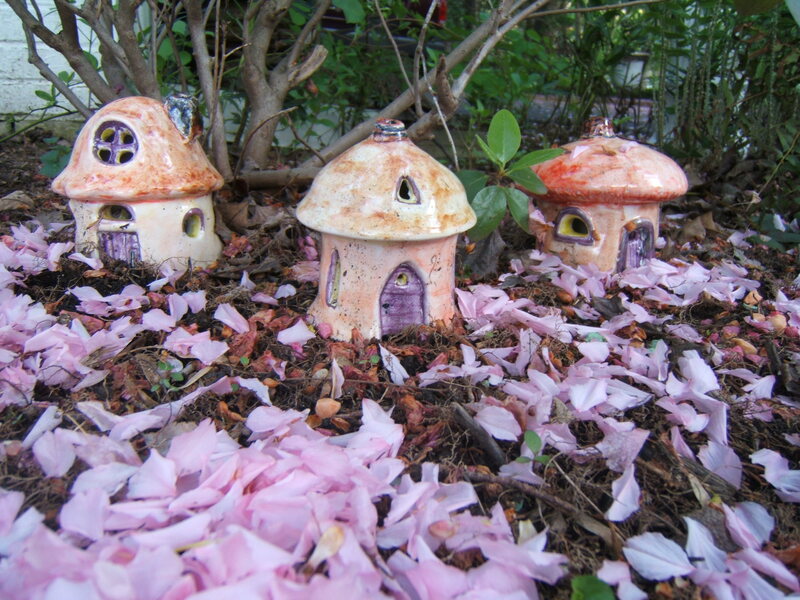 Making little houses completes the first requirement for a faerie garden. I made the first group of houses using white clay processed through an extruder tube. This device quickly produces a perfect cylinder from a clump of clay. I then cut these tubes to various lengths. For some of the roofs I worked with a piece of the cylinder, cut it in half and turned it inside out for a sloping concave shape. 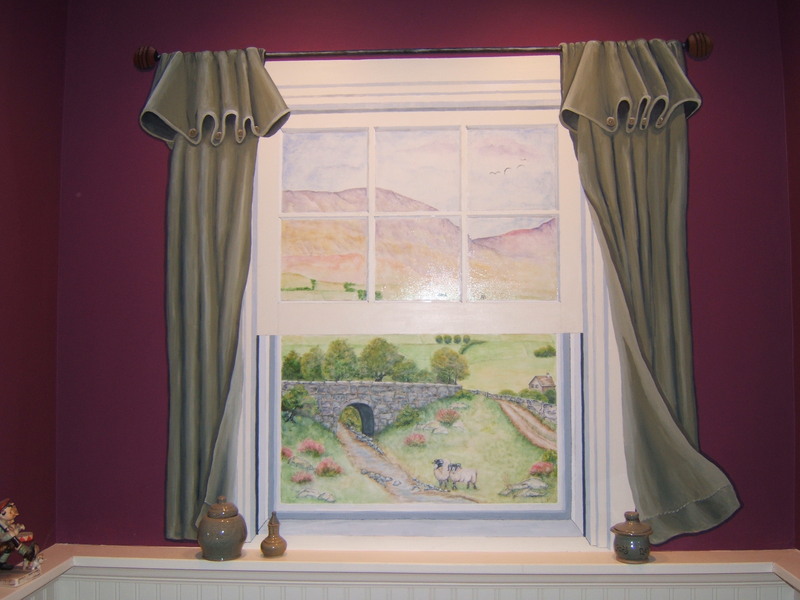 I carved different exteriors, such as stone, stucco or wood into the clay using simple tools. Different glazes created the variations in textures and colors. 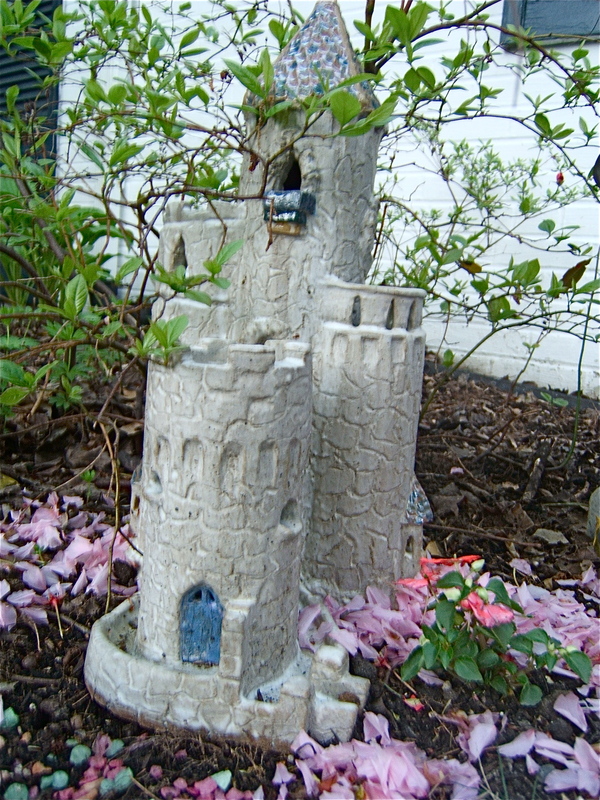 The extruder tool proved its usefulness again for crafting large cylinders to make a castle. I used carving tools to cut the details for the shingled roof and stone façade. I added a clear glaze on the roof and doors after painting them blue. A combination of paint and glazes decorated the bridge. A troll, waits patiently next to the creek. I used a low-fire clay that would take majolica, a glaze which is left to dry on the clay and then painted with special pigments in a water-color technique. I arranged the houses in the garden with a meandering stone path connecting the pieces together and added a few accessories: wishing well, fountain, bench, just to name a few. The mysterious and magical Isle of Skye casts a spell and guides the recreation of a whimsical and winsome garden on a distant shore. 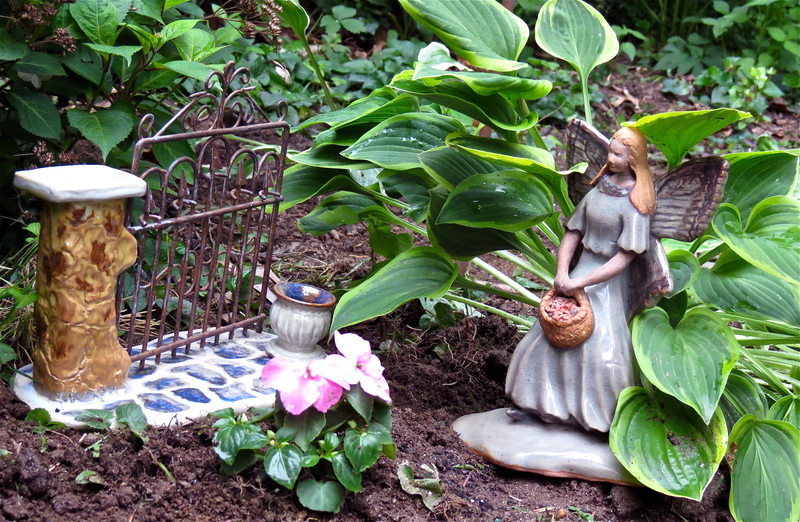 The fairies are dancing — how nimbly they bound! Good luck with your gardens! Send me your link if you have created such a place. Does Scotland Really have Fairies? 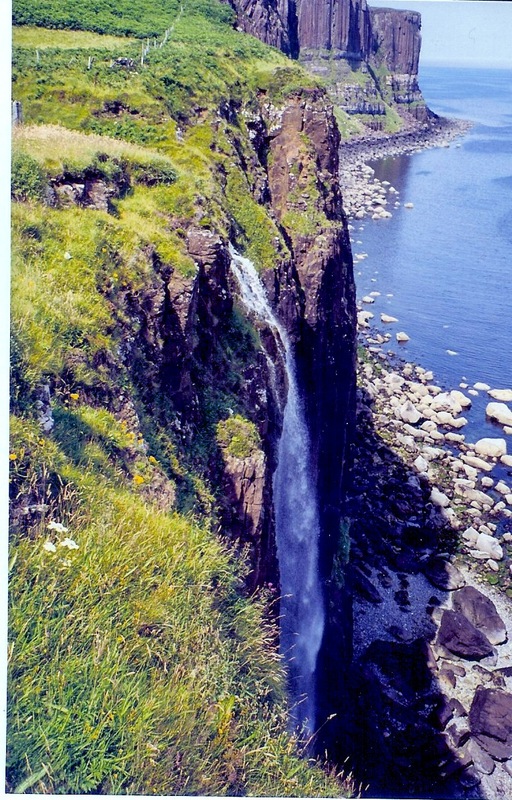 Years ago, before I had much travel experience, I journeyed to Scotland, with my teenaged daughter, unsure what such an adventure would bring–especially since we would be traveling without the support of an escorted tour. We ventured across Scotland on the Haggis Bus, a bright yellow mini-bus driven by young Scotsmen, all of whom could tell humorous and fantastic stories of their homeland while negotiating the winding roadways with the confidence and vigor that youth brings. As we left Edinburgh, the bus followed a narrow highway far into the emerald countryside, passing wee villages lined with stoned walls and whitewashed houses topped with brick chimneys. The bus rolled along on the “wrong side” –my attention riveted to the road ahead. Our bus stopped just outside the Isle of Skye, so we were on our own to navigate the remote sections of the island by rental car. We planned our adventure to include Skye because the descriptions from the Whitewave Outdoor Center offered spectacular views of coastline via kayak. 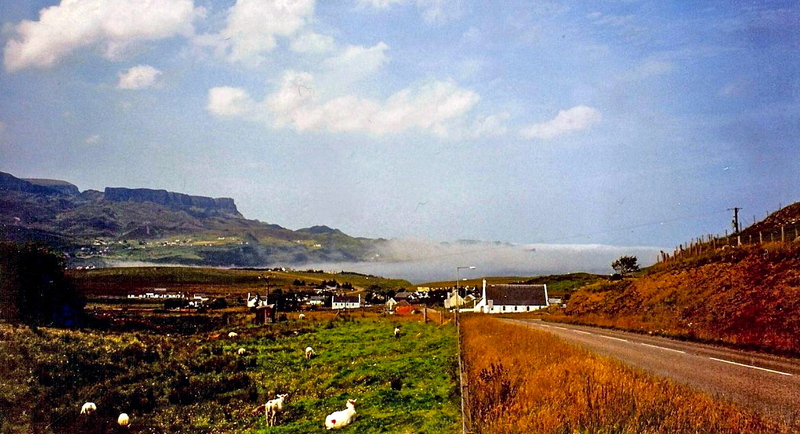 The narrow road ribboned its way along the coastline from Portee to Uig. The ocean stretched against the sky and hills, the wind scattering the clouds across the sea. Villages nestled on inlets, the island’s geological formations creating ragged edges around the island. 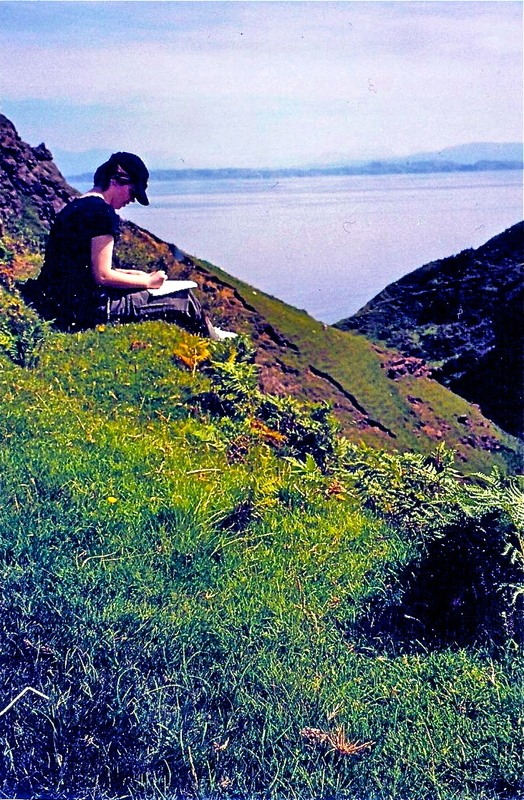 Drawn into the landscape, we stopped often along the way to take short walks or to sit in green pastures that fell to jagged ridges and rocky shores below us. 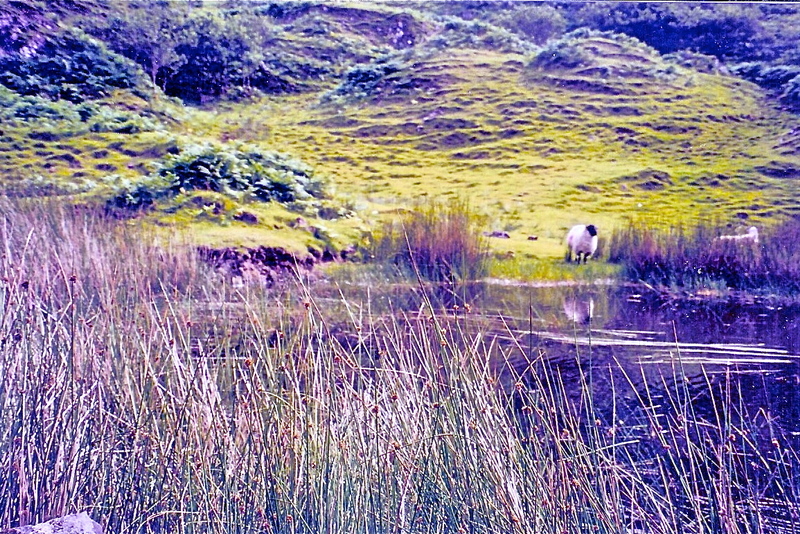 Skye, which already had an otherworldly spirit, became even more so upon discovering the Faerie Glen, just east of Uig. We passed through the gate, hidden from the main road, and followed a single-track car path through conical-shaped hillocks. Sheep dotted the landscape, their soft baaing breaking the silence of the hillsides. Further down the way, a narrow stream flowed into a pond where dancing sounds of water trickled through the deep green. 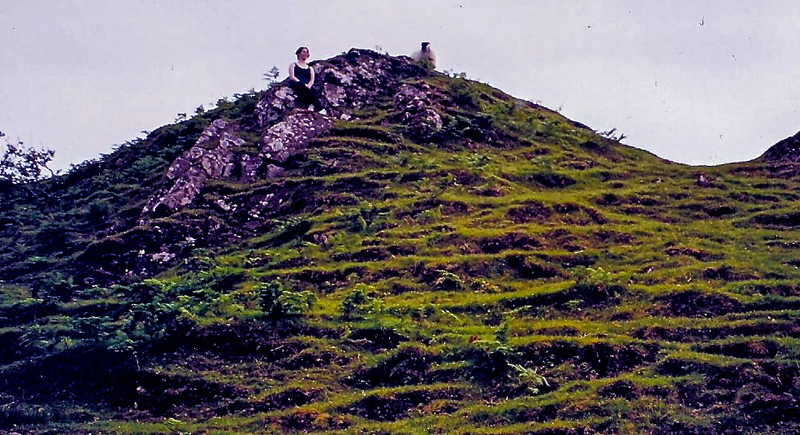 Ferns and foxglove covered the lower elevations, and higher up deep ridges encircled the mounds. We peeked behind rocks and into crevices created by gnarled tree roots. If faeries ever existed, this would be the place. Bovine observer: we were not alone. 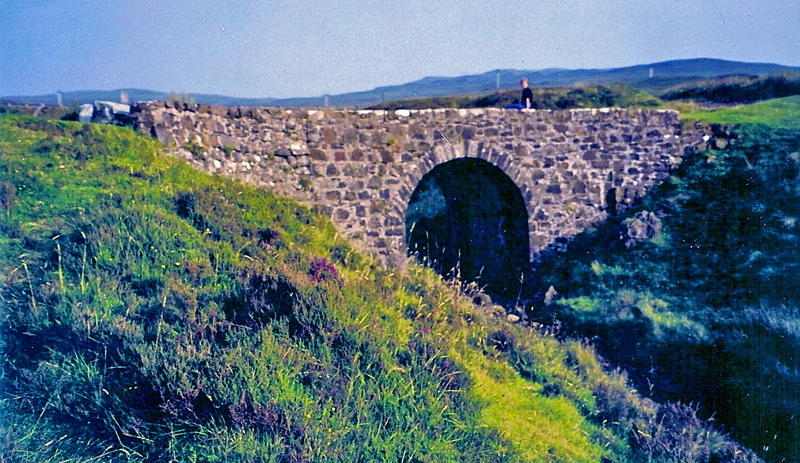 We found the Faerie Bridge traversing a small stream on the road to Dunvegan. We waded through the mounds of colored brush surrounding the stone archway to explore all views of the bridge. 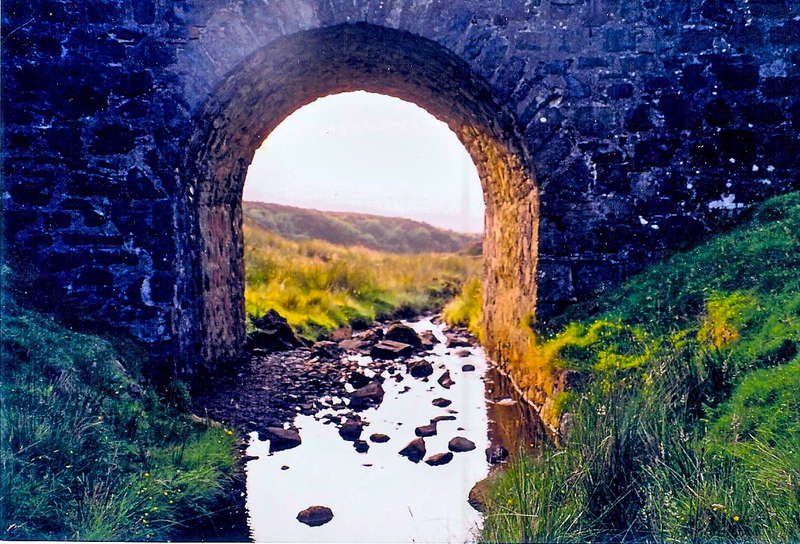 As we leaned on the arch to view the other side, we wondered if we had arrived at a portal to another world, the cool dampness on this side, the warm sunlight on the other. According to legend, the chief of the MacLeod Clan married a faerie, but alas, after twenty years, she had to return to her fairyland. On this bridge the fairy bade farewell to her husband. In the photograph below a misty light cloud appears left of center. I’m not sure why. 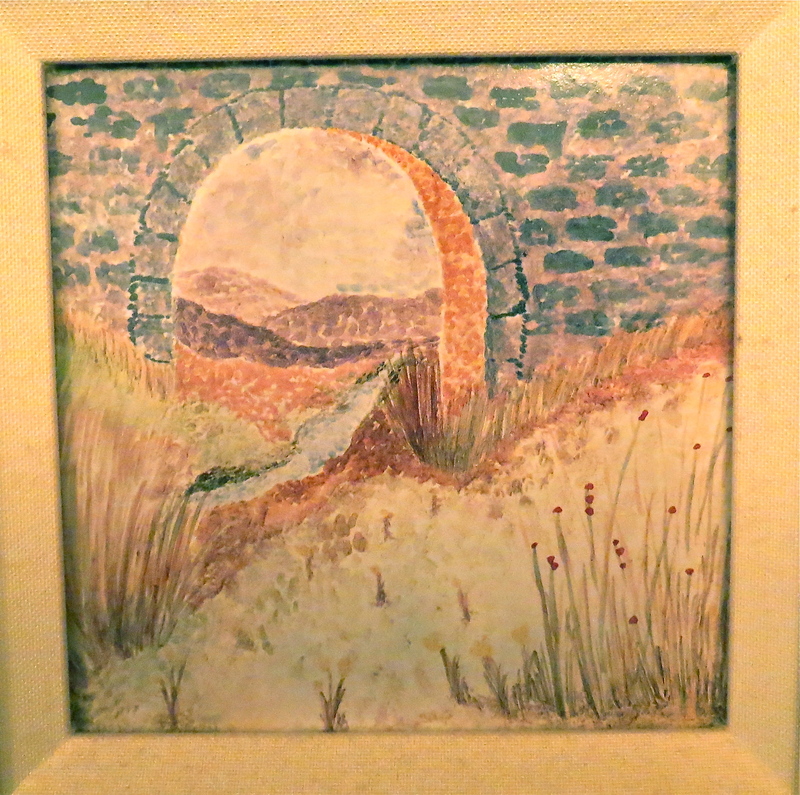 Upon returning home, the magic of Skye stayed with me and inspired a flurry of artistic creations: a mural on a wall, a majolica tile and a wee bridge from clay. 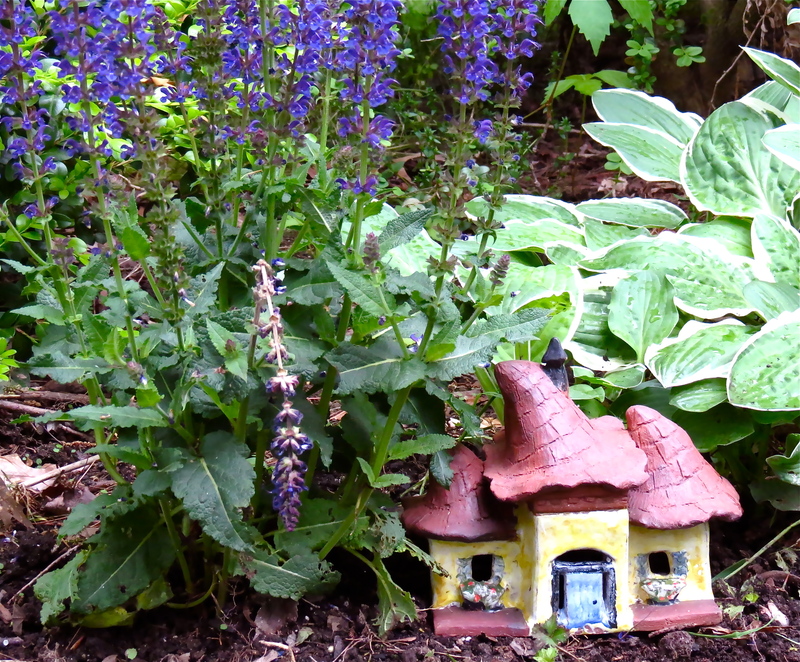 One more project remained: recreating a magical place in the garden. Part II coming next. Did I find a Native American Artifact?